Ex-BPH incunables for sale in Rome. In June I wrote that some of the more expensive books and incunables that belonged to the Bibliotheca Philosophica Hermetica (Ritman Library), which was dissolved almost a year ago, surfaced at an auction in London. 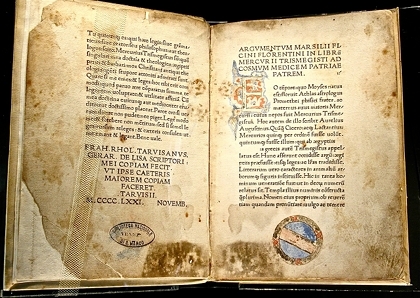 As Brooke Palieri at the 8vo blog noted then, the auctioned material included the 1st edition of Marsilio Ficino’s translation of Corpus Hermeticum, which used to be one of the gems of the Ritman collection. Now it appears that other items are very soon (October 11) to be auctioned in Rome, by Bloomsbury Auctions. 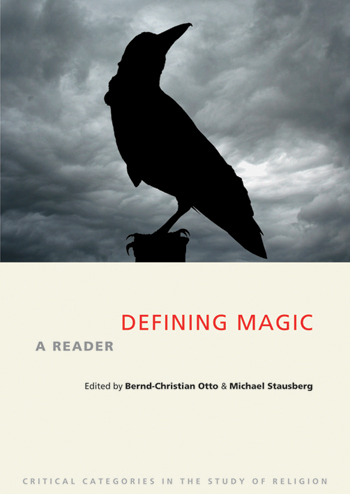 The BPH items on sale seem to include later 15th century editions of the Hermetic texts, alongside first editions of Iamblichus, Plotinus (in Ficino’s translation – may go for up to € 25,000), early editions of Pico’s works, and much more. Scroll around on the page, and if you have a few (or many) thousand euros to spare this is the chance to get some rare and exotic esoteric books. Again, this piece of news comes from Brooke Palmieri and the 8vo blog. Big thanks.